"It's over. Now what?" Suffering from a broken heart? Afraid you'll never get over this feeling of emptiness and loss? You can, and with the help of this easy-to-follow program of action, you will. Follow Howard Bronson and Mike Riley as they lead you through their 30-day plan for recovering from your broken heart. They will guide you through a brief period of mourning for your loss, and then the process of rebuilding yourself and your life. When a breakup happens, we tend to think it is a negative thing. However, there are many untapped opportunities that come around when a breakup occurs. There are specific steps the author advises you to take to heal your grieving heart and make the most of those opportunities. Essential guide of getting over and move on.. This comprehensive guide tells you exactly what to do to get over your ex faster. A breakup is not the end of the world - overcome the feeling fast and move on with life! 100 Positive Ideas and Thoughts: Brighten Your Day and Your Life! My breakup was horrible. I was lost, confused and incredibly hurt. This book helped me a lot. it helped me get over it and most importantly it helped me rebuild my life. Where does Getting Over a Breakup rank among all the audiobooks you’ve listened to so far? What did you learn from Getting Over a Breakup that you would use in your daily life? Very helpful in helping me to begin to healing process after a particularly hard breakup. I was a little afraid it would be full of really dumb or cliched advice but it really wasn’t. It gave me a fresh perspective and allowed me to start getting on with life, even if it is still painful and will take time. I would recommend this book to anyone who's hurting from a breakup. It really lifted my mood and helped me focus on myself and my future instead of obsessing over my ex. What was one of the most memorable moments of Getting Over a Breakup? I found the "what not to do" advice the most helpful. It showed me that some of the things I was doing (like stalking my ex online) weren't doing me any favors. I also really liked the section about things TO do. It showed me how to take better care of myself and helped me reach out to other people when I needed support. What did you love best about Getting Over a Breakup? 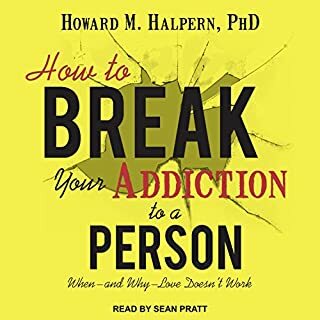 This audio book will teach you not only ways to get past your breakup, but ways to rebuild your confidence and how to be happy being single. The guide is simple and easy to follow and will be useful to anyone in the pain of a breakup, but especially to those suffering from a longterm relationship breakup. It's been only 3 months since my breakup and I feel a lot better after following these steps. About 10 months ago, I went through a terrible breakup with my partner of nearly four years, and I was devastated. 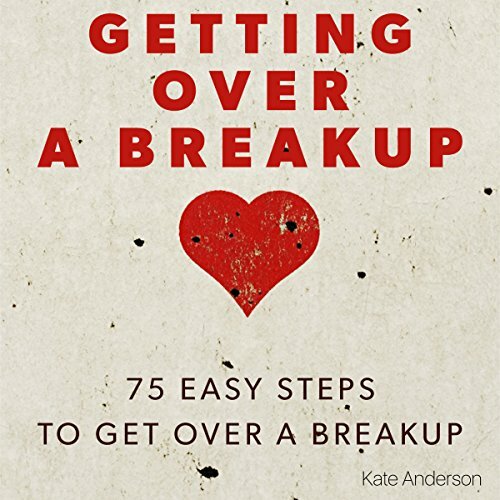 I purchased 4-5 books about surviving breakups, to help me get through, and this audiobook is absolutely the best. It is an easy "read" with very well explained steps to take and get past your breakup. I've listened the audiobook twice and will probably do it again. It is appropriate for any gender or age, I highly recommend it! yes I would! We all have friends that have been broken up with and will be broken up with in the future. If before hand or after the fact it can be useful both times. Have you listened to any of Rebekah Amber Clark’s other performances before? How does this one compare? No I haven't but her voice was very easy to listen to and absorb the information. I would listen to more books she narrates. For me yes, less than 2 hours I am game to listen to a book in one sitting. You could also chop this up into bits on your drive to and from work I suppose but I enjoy a good lump of 2 hours in one sitting. A light at the end of a dark tunnel for me! 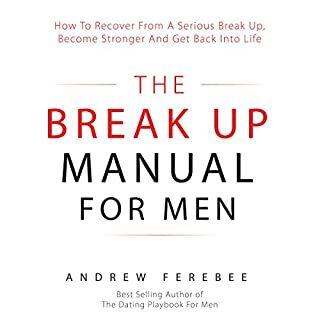 I think everyone knows that breakups are damn tough, but this book helped me so much. It helped me deal with some of the negative feelings I had been having and helped me get over feelings of loneliness and despair. No book can cure a broken heart overnight but this DID help me lots and got me through the process. This book helped me to work thru the feelings and come out the other side. Great choice for narrator! A lot of the advice mentioned was repetitive, but it worked to permanently embed the information into my head. I finished this book with a better sense of self, and a burst of motivation to take control of my life again. I would recommend this book for anyone looking for a way to shine light on their heartache and pain. Would you listen to Getting Over a Breakup again? Why? I have, 3 times now. Because breakups are so very very tough and we all need help. What other book might you compare Getting Over a Breakup to and why? Really liked her voice and recording was great quality. Yes but i was too upset to. Breakups are tough but this book helped me a lot. I thought i would never get over my breakup and over the feelings i had for my ex, but this book is helping me proceed down the recovery path so much faster than i expected. Fantastic book, well written, well narrated and it HELPS! I wish u all the best with ur heartache. It can get easier, even if it seems impossible at times. I listened to this book all in one sitting and I've gone back and listened to it a few more times as well! This book was just what the doctor ordered. I'm a sensitive person who has been devastated by nearly every breakup I've ever gone through. My most recent breakup was by far the hardest to get over. But I'm so glad to say that I've finally found a book that's helped me to cope better. Before this book, I was really starting to give up on love but I feel like now, I'm actually ready to move on and try again. The tips and ideas in this book are unbeatable. I highly recommend it! This ACTUALLY helped me. So much better than i expected. I literally kept doing 7 of these things that I see now were holding me up from that CLOSURE I needed to move on my ex. This book shed some much needed light on my situation...and honestly exposed a few things that I hadn't realized I was doing that kept me stuck. I was just basically giving my power away. I'm suggesting this to a couple close friends of mine. I think they're going to find themselves in these pages as well. It was an eye opener. A great help. Going thru an awful breakup right now and this book is really helping me deal with a lot of confused and hurt feelings. Nice narration on this, easy to understand and follow. Helpful to get over a breakup. I was really struggling to get over my relationship after a particularly horrible breakup (I will not bore you with the details!) and i really needed something (anything!) to help me thru the pain, especially with getting a good nights sleep and how to act in public (unfortunately i still see my ex on an almost daily basis and we share a lot of the same friends). Whilst i am not exactly smiling and leaping for joy now, i can say i am definitely a lot better after listening to this book. It doesn't feel like a typical self-help style book, it just feels like a friend giving really good advice, which is probably the best we can all hope for in this situation. One of my faves because it helped me so so much at a very very bad time. Three months ago, I went through a terrible breakup with my partner of nearly four years, and I was devastated, I thought I'd never be able to get through it. 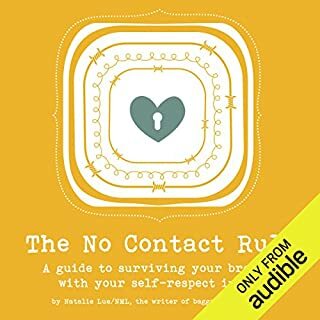 I purchased 5 books about surviving breakups, to help me get through, and this audio book turned out the best. I listened to it repeatedly as the words were so encouraging and soothing. It was indeed my best companion all through while I was trying to heal and before I knew it I was totally back on my feet all thanks to this book. 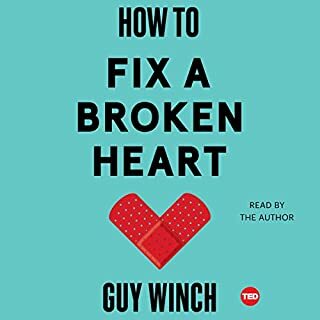 I tell anyone who feels they would never get over a break up to listen to this audio book. 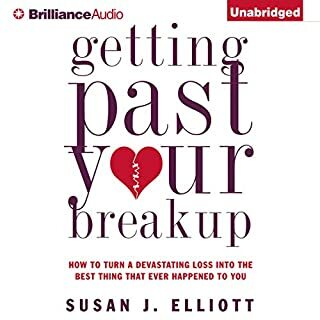 It is appropriate for any gender or age, I highly recommend it to anyone going thru the horrific time of a breakup and i hope it helps u as much as it has helped me. Fantastic, this really helped me loads! Yes. I have listened to it 3 times so far. Why? Because dealing with heart break is not easy. It can be very very difficult. We all need help on the journey. Dealt with two horrific breakups in 3 years. This book helped me so much to deal with the anguish. Did it cure everything with one listen? Of course not! But it DID really help me get on the journey to feeling better. I have listened to this book several times and it has been a life saver at times to keep me sane on the journey to getting over it. Definitely recommending this for anyone dealing with a breakup and all the horrible feelings that go along with it. This book will empower you towards self-healing after a major relationship breakup. Whether you are going through a separation, a divorce or coping with the end of a lengthy and significant relationship, these powerful love advice and relationship tips will help you get over the breakup and move on with your life as quickly as possible. Every woman's experienced the Big Breakup. You know the one. And even though it's a devastating natural disaster, after all the mind-numbing, soul-stirring, heart-wrenching pain comes the pleasure: in rediscovering yourself and your amazing life, of relishing in your girlfriends' company, and (eventually) of meeting someone new-someone who would have otherwise gone unmet had you not gone through your breakup in the first place. This celebratory survival guide will help you see your Big Breakup not as a breakdown but as an opportunity to break up with a relationship that's no longer working and move on. A book that helped save myself. Why wouldn't I? This book is spectacular in every sense and I recommend it to each and every person inflicted with a breakup. What about Rebekah Amber Clark’s performance did you like? The way she expressed her emotions made me feel as if she was a person who could console me. She really was effective at her task. Break up, Get over it. This perfectly fits as it definitely shows us how to get over it and a person trying the tips out can try these methods. I want to be quite open at the moment and the time at which the author states that men might never get over a relationship makes me feel so happy that my ex is in for a sad day. Feeling better after a breakup....sounds impossible right?! Well it is taking me a while but with the help of this book things are getting easier. For anyone going thru this, i feel ur pain, really, but it CAN get better. This great book helped me, it may do the same for u, but don't expect a miracle overnight cure. Breakups are never ever going to be easy and will never be, with or without this book. However, I can confidently and honestly say this book WILL help you a long. It came to me at a very dark time during a horrible breakup and was a life saver. It taught me how to deal with the whole situation and eventually get over it. 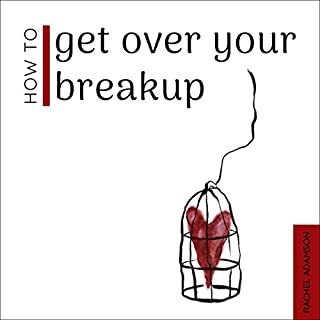 Breakups feel like the worst thing in the world, at times they feel almost impossible to defeat - but you can defeat them and personally i found this book very helpful in helping me along this process.